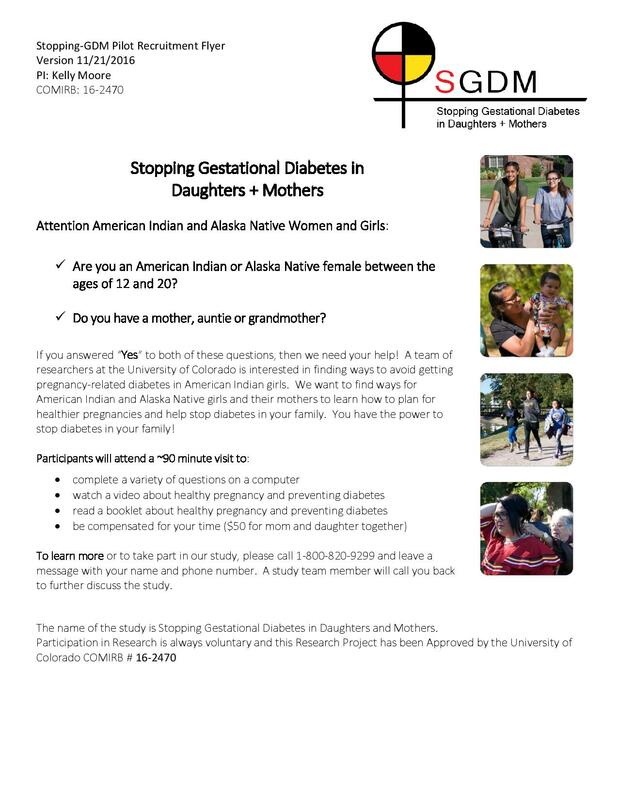 A team of researchers at the University of Colorado is seeking participants for a study on the prevention of pregnancy-related diabetes. 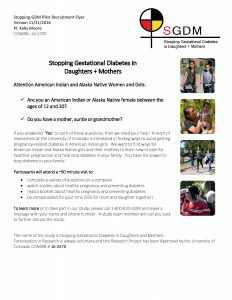 If you are an American Indian or Alaska Native female between 12 and 20, and have a mother, auntie or grandmother, you might be eligible to earn $50 for attending a 90 minute research visit. The Facebook page for this study is here.